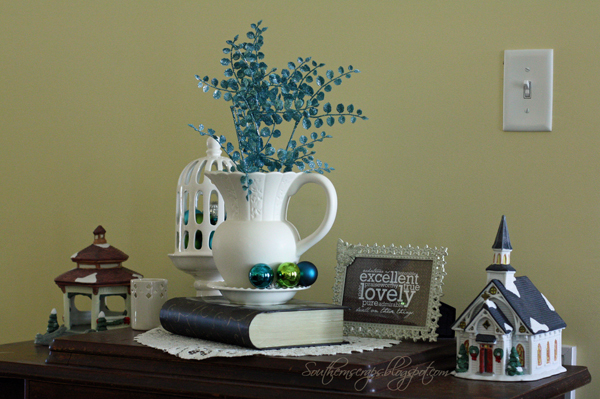 I used to only decorate the mantel and a tree (or two to four), but since living in our current home, I've come to love creating vignettes on the sofa table. Really it's a book shelf, but it functions as a sofa table behind my couch. This year I used some of the same materials as last year but added my new snow globes. I grounded the globes on a silver charger and added some faux snow. I placed some of my village figurines around the globes. They haven't been out in years. 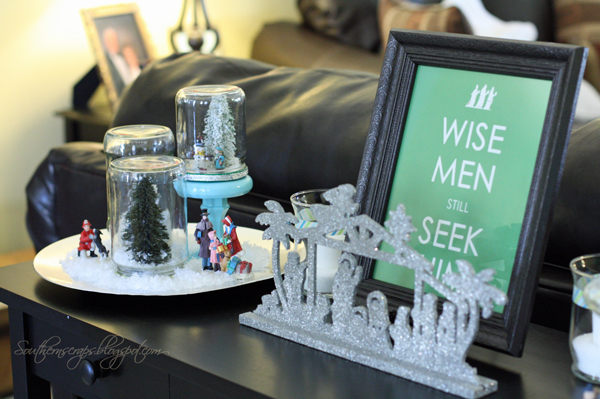 The "wise men still seek him" and glitter nativity are still the center, as Jesus should be the center of it all. 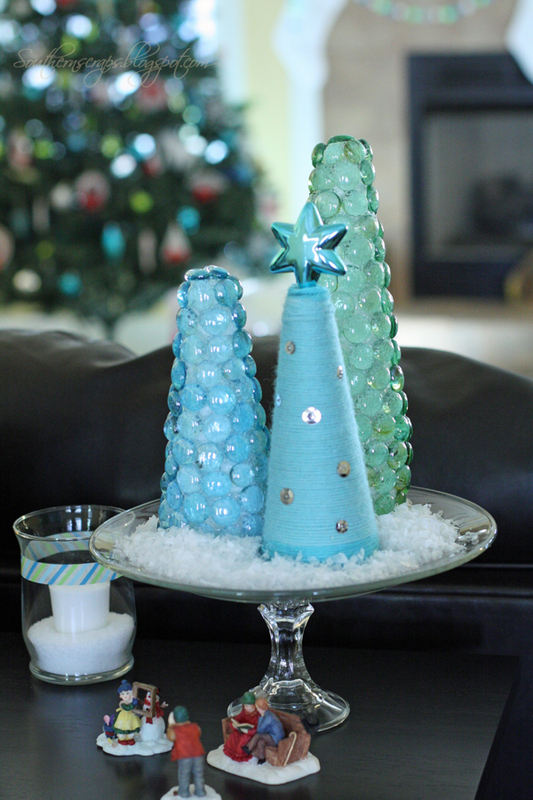 On the other end are my mini trees that I created last year. 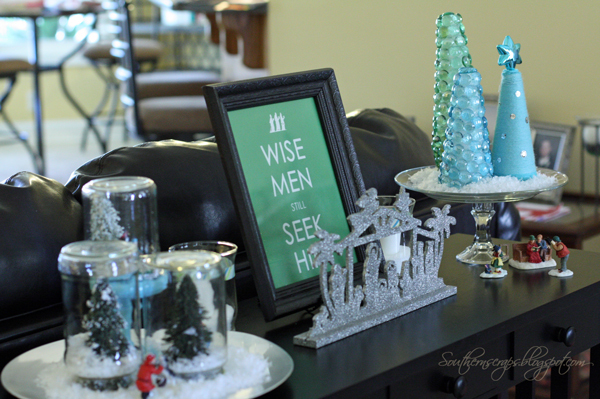 I elevated them this time on a clear pedestal plate that I made. 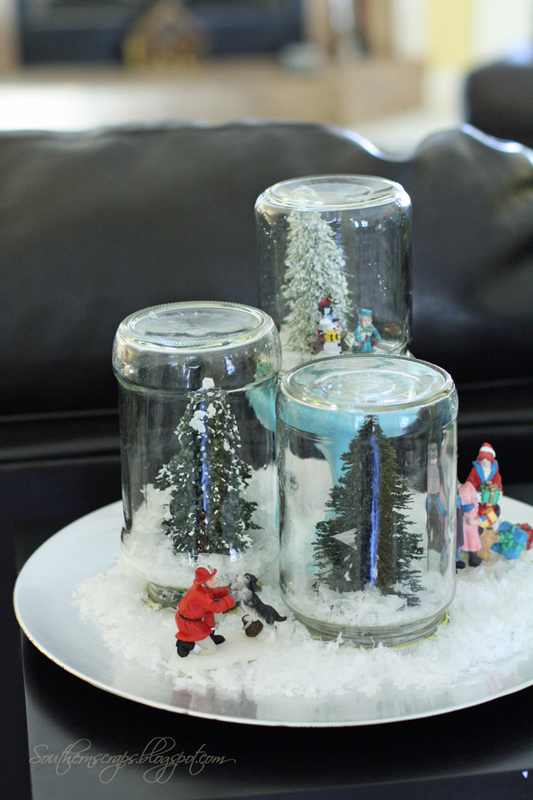 I also added faux snow around them and place some more figurines at the bottom. I added some washi tape to clear candle holders to bring in a little more of the colors I'm using. 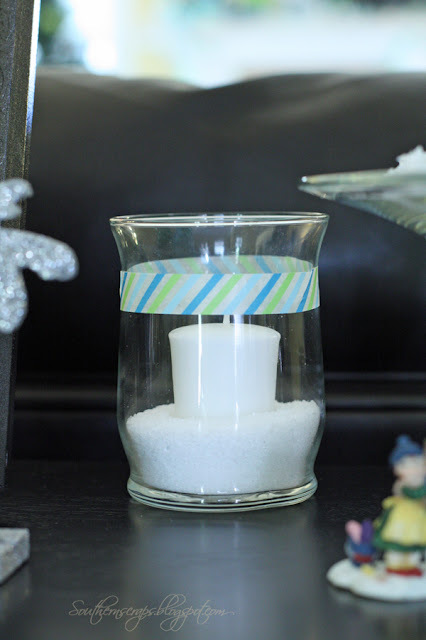 Epsom salts makes snow in these. I also added a little "Christmas" to the top of my old sewing machine. I added a glitter floral pick to the pitcher and filled the bird cage candle holder with ornaments. I took out a couple of village pieces to sit on each side. Thanks for stopping by. I hope you are having the best of Christmas already! 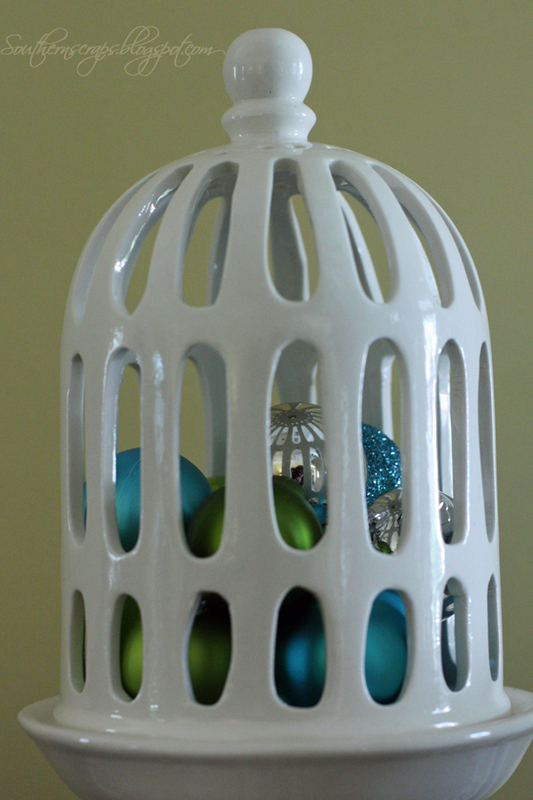 love the cloche with the turquoise and greens! 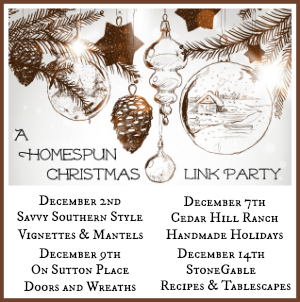 Cute vignettes and thanks for sharing at A Homespun Christmas. I can tell you enjoyed the decorating. I like the touch of blues! I love your nativity! Where did you get it? Hi Erica! 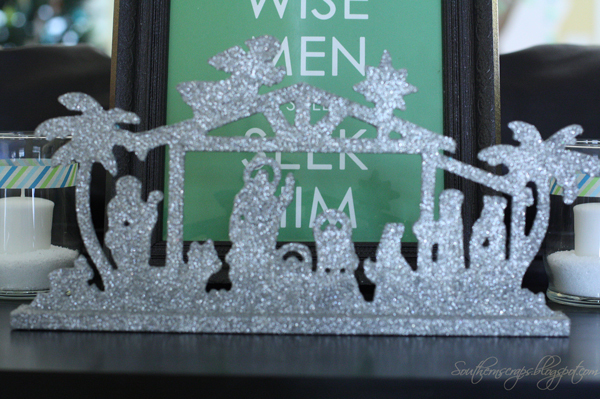 The nativity was a Target Dollar spot find a couple of years ago.